Heavy Duty Steel Shelving Units - Save time locating parts using our tough Euro Drawers with our sturdy open or closed steel shelving. 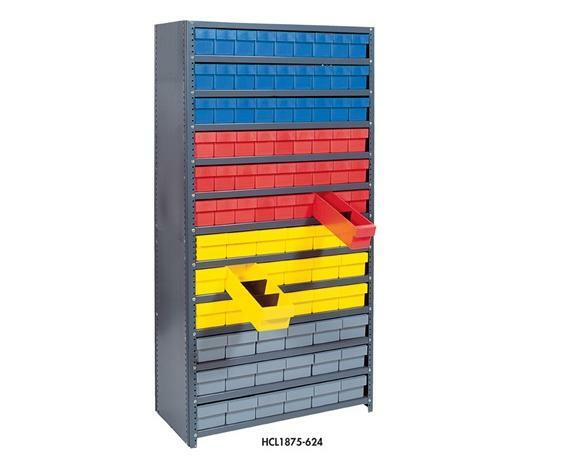 36" wide x 75" or 39" high units offer heavy-duty, high grade shelving with a 400 lb. capacity per shelf. 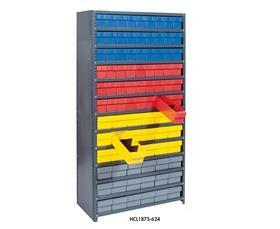 Closed shelving provides a dust free environment for stored parts. Shelving is Gray in color. Drawers are available in Blue, Yellow, Gray or Red. FOB Shipping Point. 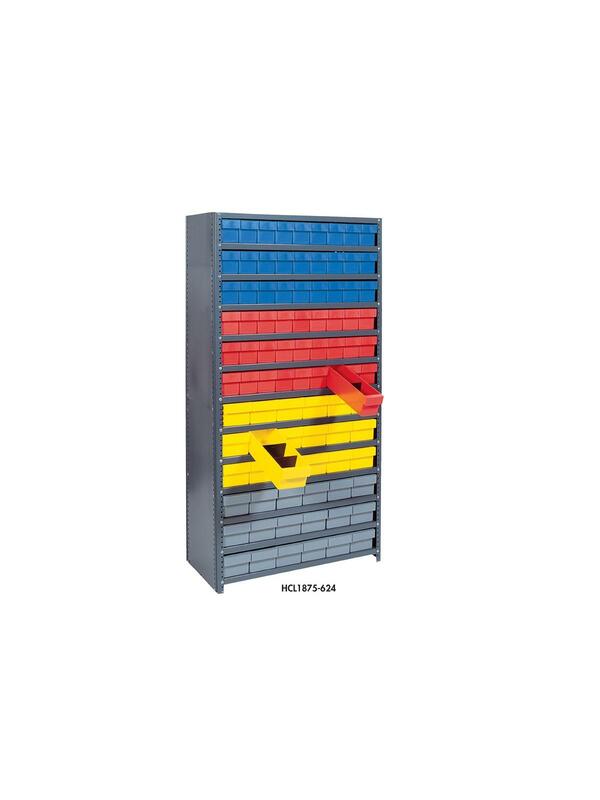 See Related Items tab for Quantum Super Tuff Euro Drawer Dividers. 12 x 36 x 75"12 36 75"
11-5/8 x 11-1/8 x 4-5/8"11-5/8 11-1/8 4-5/8"